Were you injured at a hotel when vacationing in Islamorada? 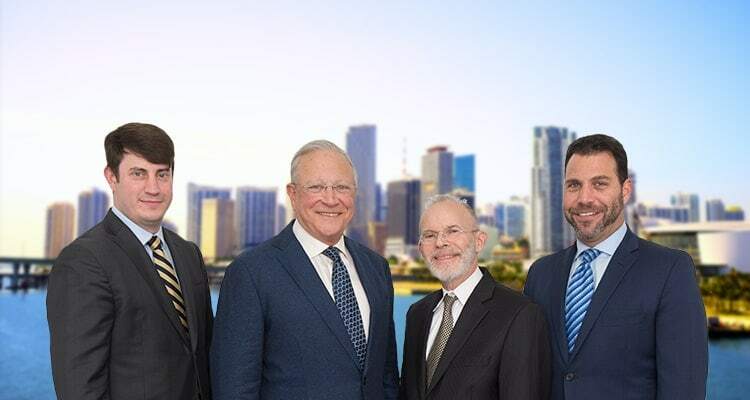 If you were hurt because of a defect on hotel property, or you were a victim of a hotel crime in the Upper Keys, then we recommend you contact our Islamorada hotel accident lawyers at Gerson & Schwartz P.A. We are highly experienced and bilingual personal injury and wrongful death attorneys. We will thoroughly investigate the incident that led to your injuries or your loved one’s death to determine who was responsible. If the hotel failed to keep you reasonably safe, then you may have a premises liability claim against the hotel. To learn more about your rights after a hotel accident and injury, contact our premises liability lawyers at Gerson & Schwartz P.A. at (877) 475-2905 or contact us online to schedule a free consultation. Tea Table Key, Lower Matecumbe Key, Upper Matecumbe Key, Windley Key, and Plantation Key make up the village of Islamorada, which is part of the Florida Keys. These islands amount to 6.44 square miles of land and .12 square miles of water and have an estimated population of 6,645. In recent years, the islands have become more widely known because they are the location for the Netflix series, Bloodline. However, Islamorada was hardly unknown prior to this show. Islamorada, like many of the Florida Keys, is a common tourist location. It offers laid-back, tropical vacations. When you visit the islands, you can enjoy snorkeling, scuba diving, parasailing, wind-surfing, kayaking, boating, and fishing. When you visit or travel through Islamorada, you must rely on the Overseas Highway and the Seven Mile Bridge. There are many hotels located off the Overseas Highway, otherwise known as Highway 1. In fact, motels, hotels, and resorts are scattered throughout the islands. Some are directly off the highway, while others are a short distance away on the beach. No matter which hotel you choose to stay at in Islamorada, you should be safe. The premises should be well maintained to prevent you from suffering any type of injury. The premises should also be properly secured to prevent you or any other guest from becoming a victim to crime. However, if the hotel is not property maintained, you may find yourself injured. In this situation, the best next step is to contact a hotel accident lawyer for Islamorada. If you were injured at a hotel while visiting Islamorada, and you believe your injuries were the result of a defect on the property or negligent security measures that failed to prevent a crime, contact our hotel accident attorneys for Islamorada. We will thoroughly investigate the cause of incident and gather evidence, including any police or accident reports, videos and photos, and eye witness testimony. If there is evidence that the hotel failed to take measures to keep you and other guests reasonably safe, then you may have the right to pursue compensation through a premises liability claim. Under Florida premises liability law, property owners, business operators, and property managers are obligation to maintain safe premises for their customers or clients. In fact, the highest duty of care is owed to business invitees, who are people on a certain premises for a business purpose. That business purpose benefits both the guest and the property owner. Landowners are responsible for inspecting and maintaining their property for their customers, such as hotel guests. They also have the duty to warn guests about hidden dangers, or to make these dangers inaccessible. A common warning is “slippery when wet” signs, which hotel maintenance may put down after mopping. Or, an escalator that is malfunctioning will be blocked, and hotel guests will be directed to the stairs or elevator. When a hotel fails to inspect, properly maintain, repair defects, warn about hazards, or to make defects inaccessible, and a guest is injured because of a hidden hazard, then the hotel is liable for the guest’s injuries. Another duty of a hotel is to keep its guests reasonably safe from criminal activity that the hotel knows or should know occurs in the vicinity. Appropriate security measures may include locking main and side entrances, elevators that require keys or cards to gain entry to a floor, surveillance cameras, front desk staff, and security personnel. When a hotel is or should be aware of a certain type of crime often committed in the area, and does nothing to protect the hotel guests, then it may be liable for a hotel crime victim’s injuries. If you were hurt at a hotel because of a hidden danger in the property or inadequate security measures, do not hesitate to speak with an experienced lawyer. Our premises liability attorneys at Gerson & Schwartz P.A. are here and ready to help. Contact us online or call (305) 371-6000 to schedule a free consultation.